On the England, Wales border of the counties of Shropshire and Powys you will find the garden nursery of Claire Austin Perennials. 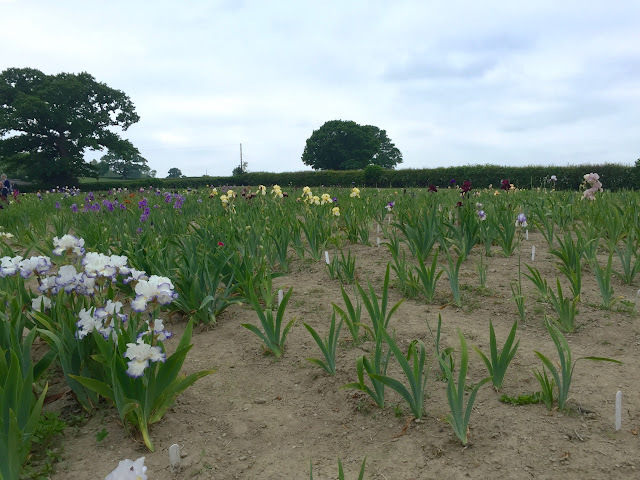 The nursery has many plants but specialises in Peonies and Irises. Once a year Claire Austin opens the nursery to the public along with her private garden. You may already be familiar with the name Austin, Claire is the daughter of the world renown Rose specialist David Austin. 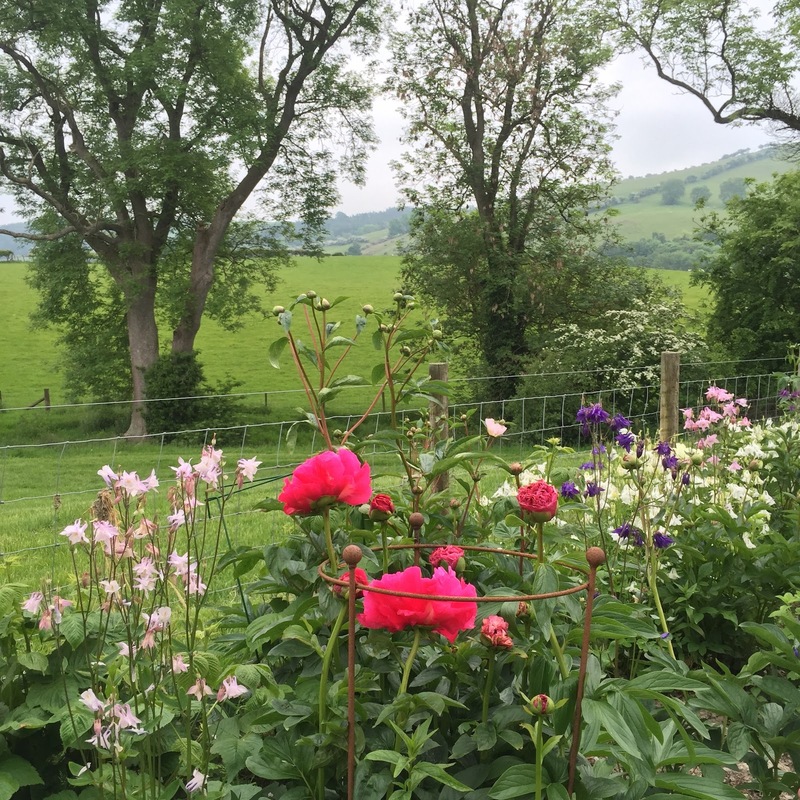 I have blogged previously about David Austin Roses as the plant centre, garden and tea room are located close to where I live in Shropshire. The open day for 2016 was Saturday 4 June. Having missed last years open day my sister and I have had this in our calendar for some time. So I was somewhat annoyed with myself when I realised I had left my camera at home, so all photographs were taken on using my i-phone. Located not far from Montgomery town and Sarn village, it is very well signposted along many single track high hedged country lanes. But with a one way route in and out of the nursery you should not encounter any problems. I should add that admission is free. We were greeted by a large open storage barn when we arrived that was decked out with bunting and the location of the refreshments. 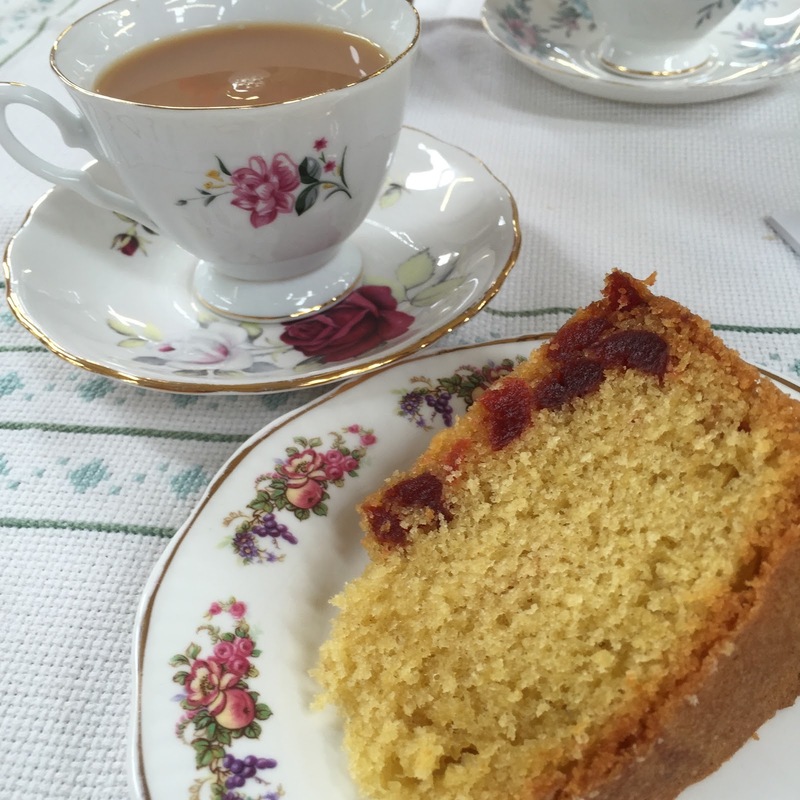 The tea and cake was excellent, provided I think by the local Women's Institute they served a delicious Cherry Cake. Just through the barn you find the plant sales area, there was an extensive selection of hardy plants for sale, with some nice unusual varieties too. The very helpful plant guide we were given, contained detailed information on each plant for sale, its flowering period and soil type along with the price. 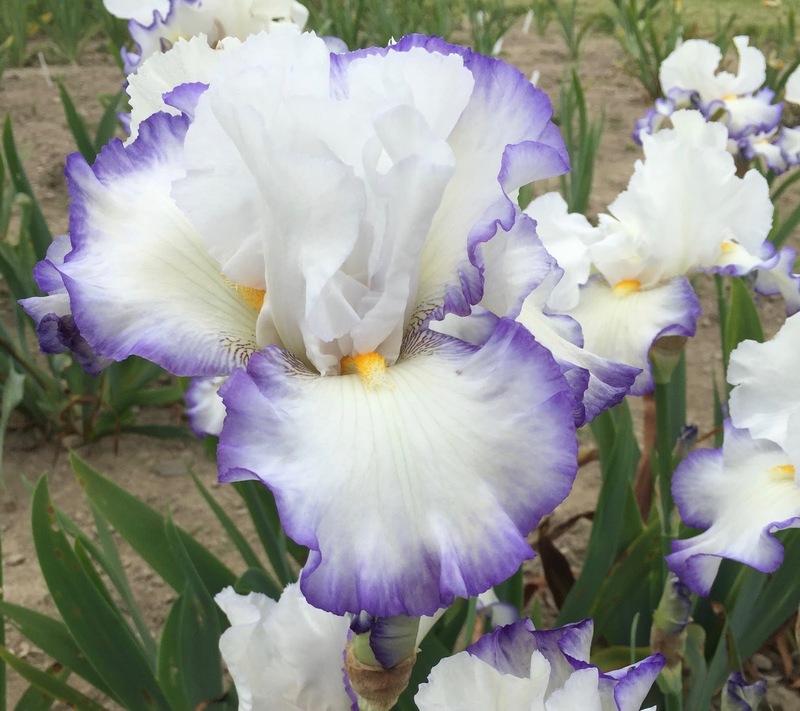 Moving on, there is a field with a huge selection of Irises in a range of colours and types some like the one in the photograph had huge blouse flowers. Moving next to the private gardens of Claire Austin. 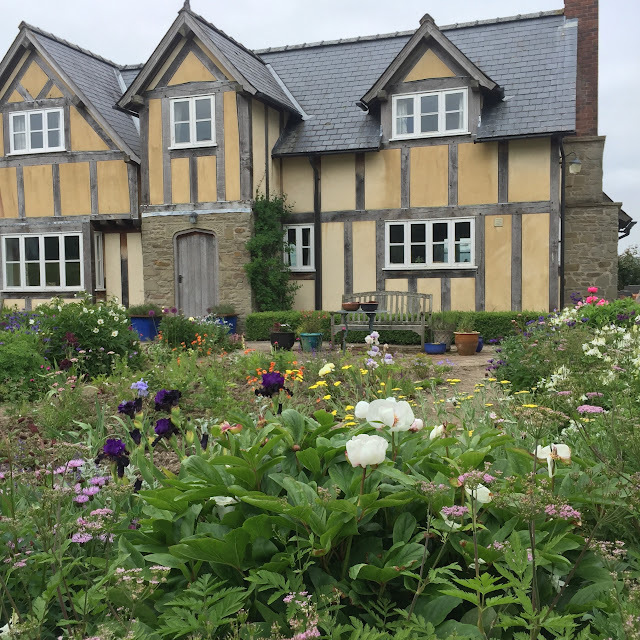 I find visiting other peoples gardens always inspiring, there is always an idea or two you can take away with you. 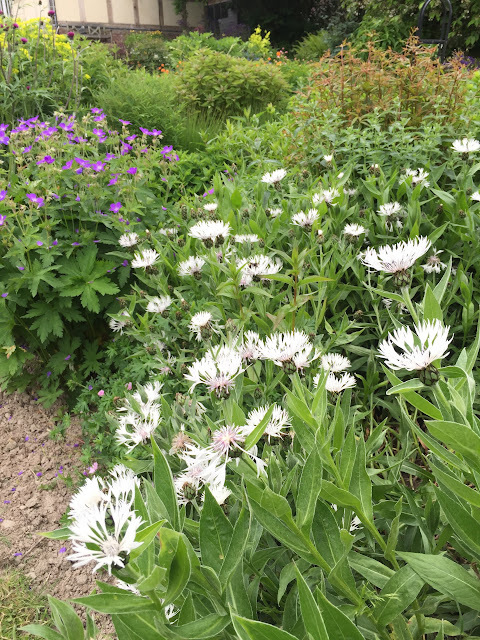 There were quite a few unusual plants that stood out as we walked around the garden. Some large good ground covering Cornflowers in both whites and purples, created a spectacular display. It was a stunning rural location with the back drop of the Powys countryside. There were a number of Peonies too, with some just on the edge of flowering. Back at the plant sales there was a huge range of Peonies to choose from. 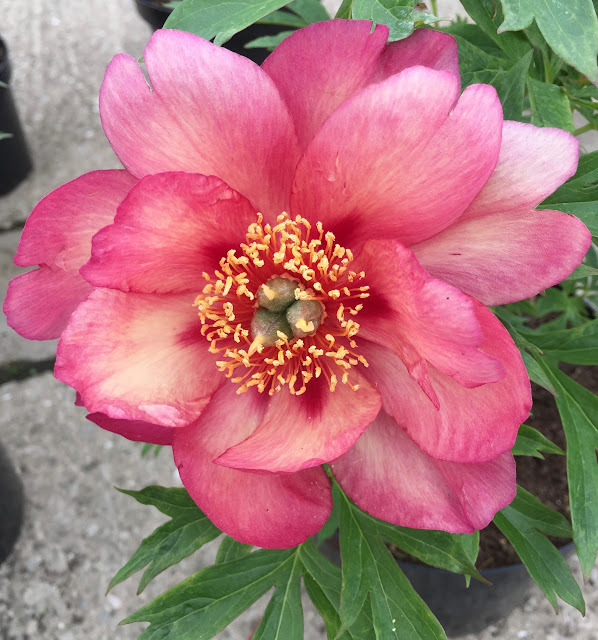 We had our eye on a deep red Peony Buckeye Belle which flowers early and a White Peony Elsa Sass, which flowers late. 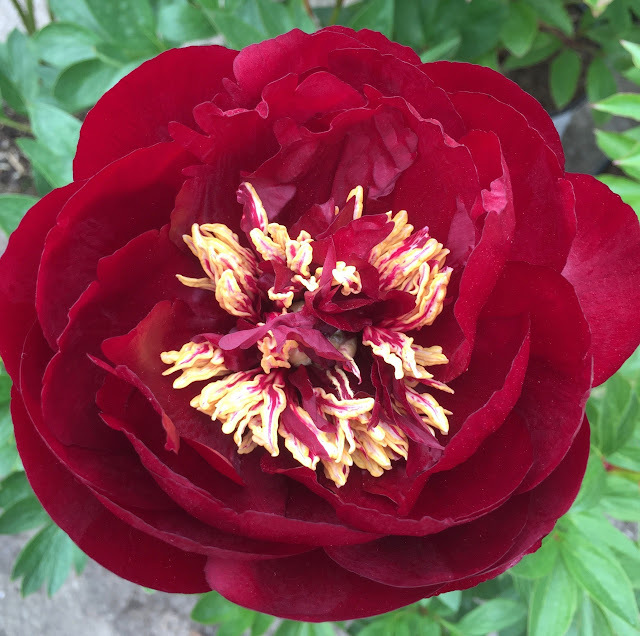 The Elsa Sass will help extend the flowering of the current Peonies in my garden as they both flower early and mid. Unfortunately there was no stock of the Elsa Sass, but the good news is that you can order online from the Claire Austin Perennials, Irises and Peonies website. I left with three plants a Red Knautia Macedonia, Achillea Conjuncta and Dicentra Formosa 'Bacchanal', the Peonies I will order online. I hope you enjoyed my tour of Claire Austin nursery and garden. What a wonderful place to visit!! I so enjoyed it! 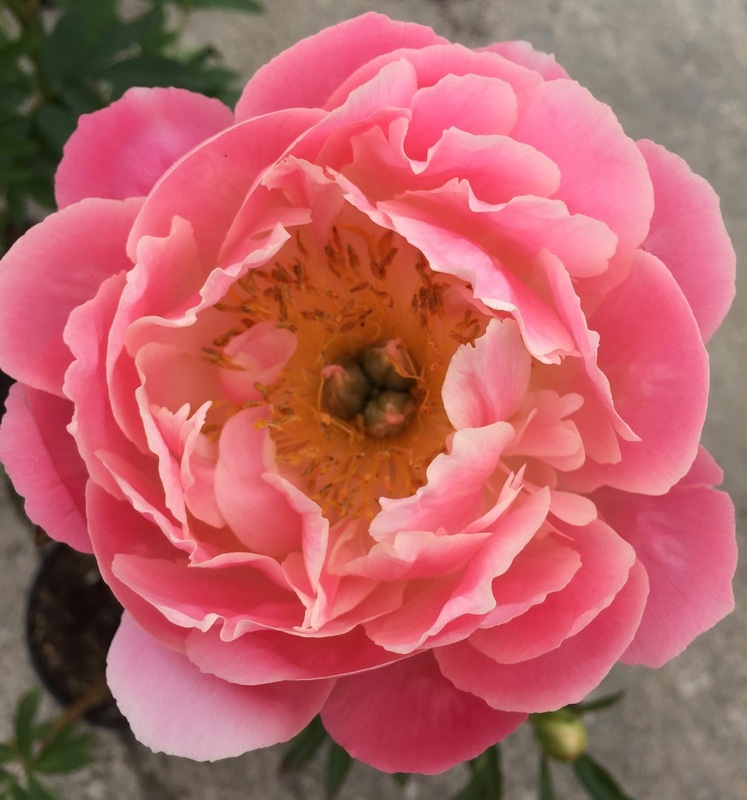 Hope that your plants do really well for you and that your peonies will be wonderful too!